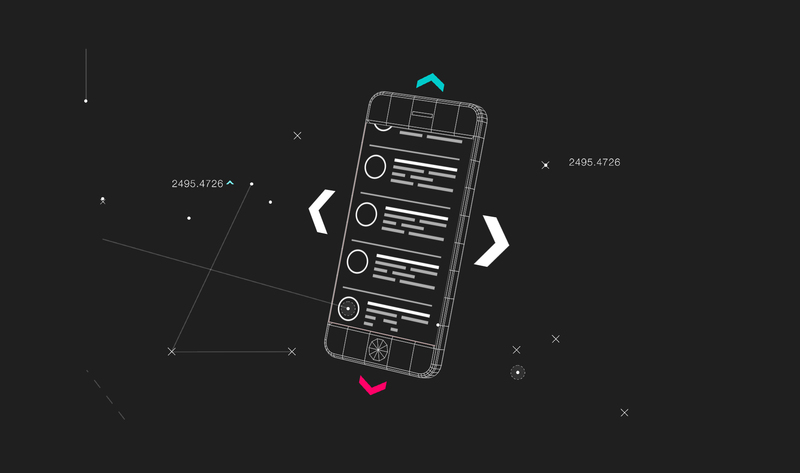 Available on smart phones and tablets, the beautifully-crafted Brandtix Sports app ensures the pioneering Brandtix platform is always within reach. Its easy-to-navigate user interface ensures the data you need is front-and-centre when you need it, wherever you are in the world. 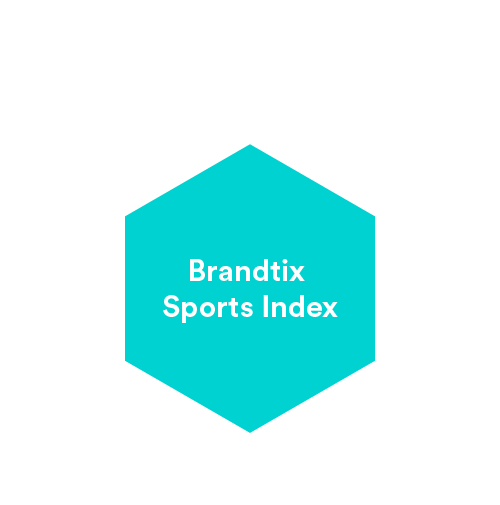 The Brandtix Sports Index is the sports industry’s first comprehensive global index platform for real-time athlete brand values analytics. 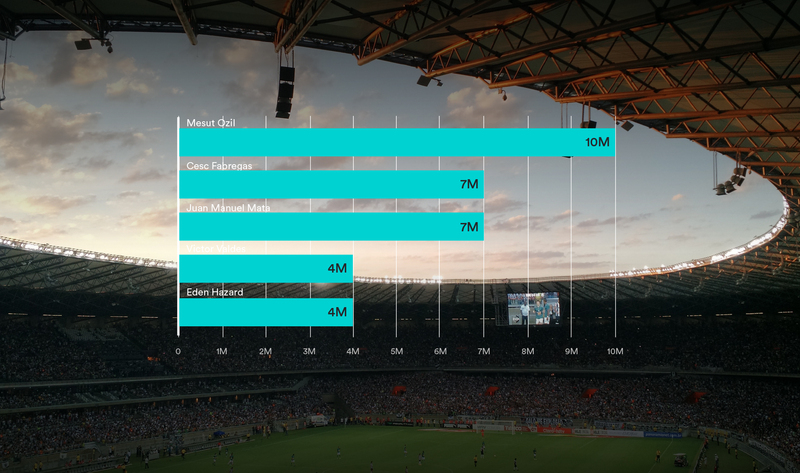 Its rich insights empower users, from industry professionals to sports fans. The insights-driven Brandtix dashboard provides a real-time overview of the current state-of-play for athletes in both sporting and social arenas. Simply select a competition and a timeframe to quickly view a snapshot of significant data, including top performers and trends. 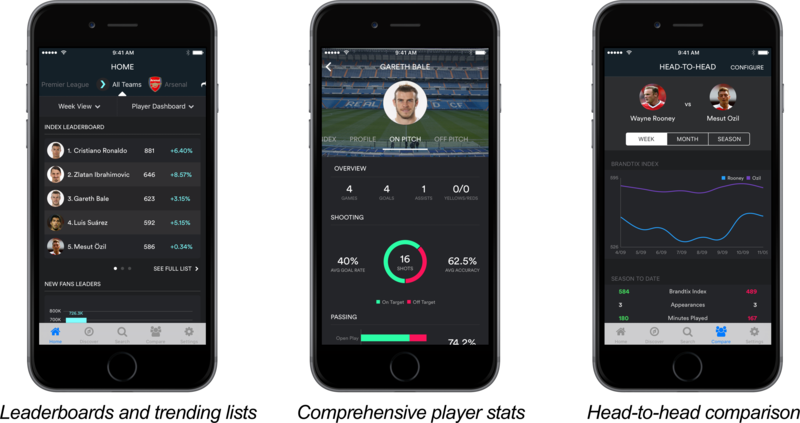 From the dashboard you can drill down to in-depth statistics, scrutinize players, teams, and competitions, explore demographics, and more. With a vast selection of fully-customizable widgets, it’s easy for sports industry stakeholders, including publishers, brands, agencies, promoters, rights holders, bookmakers, and sports teams, to feature Brandtix’ graphically-enhanced live sports content across multiple media platforms. 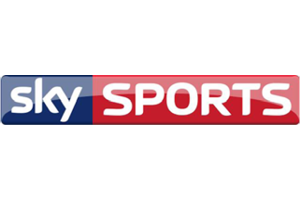 Sporting and social data feeds can be integrated into existing applications or delivered as part of a tailor-made solution. To offer your consumers an even more compelling, data-rich Brandtix experience, our experts can craft a fully-tailored service that fits seamlessly into your existing media platforms and meets your business goals. Built and maintained by our experts, these bespoke solutions can be owned, run and monetized by your company to fulfill your unique commercial requirements. Created by a team of experienced sports marketing professionals and technology experts, the Brandtix platform has been designed to make sense of modern sport. 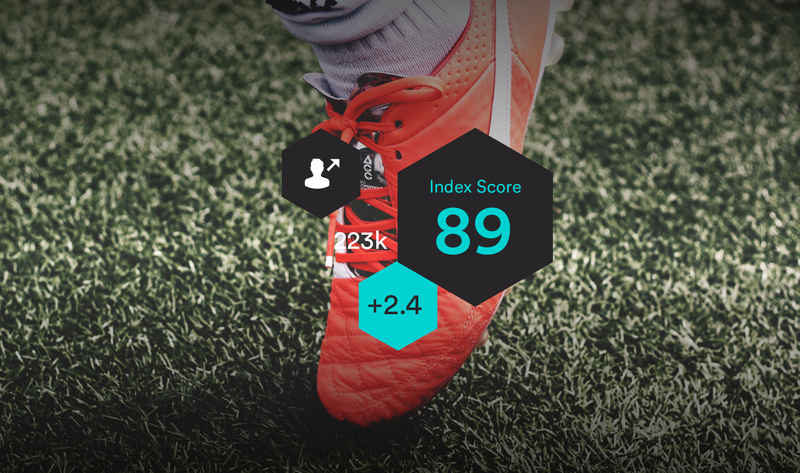 Its pioneering Brandtix Sports Index is the world’s first service to offer a comprehensive, real-time picture of elite athletes’ brand values based on their sporting prowess and social media appeal. Benefiting from the expertise of the world’s most respected sporting performance data providers and its creators’ unmatched social media monitoring knowledge, Brandtix supplies game-changing insights to stakeholders across the sports industry, from agents and sponsors, to broadcasters and team owners, to fantasy league players and fans. 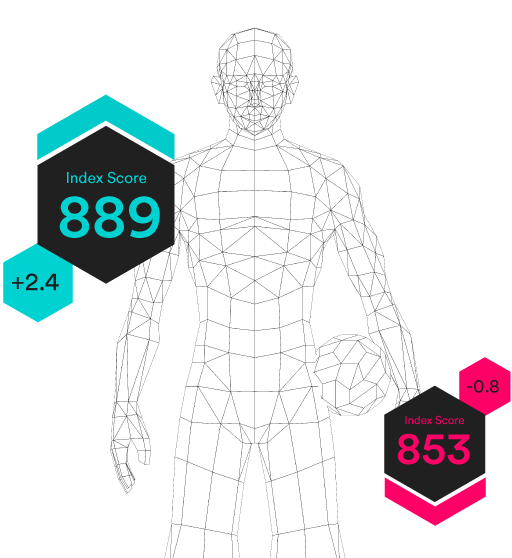 Brandtix, the sports industry’s first ever comprehensive global index platform for real time athlete brand value analytics. Enabling teams, brands, sponsors, agents, agencies and sports fans to deliver actionable insights to drive superior business outcomes and gain competitive advantage. The Brandtix Sports Index is constantly updated to present game-changing intelligence when and where it’s needed. 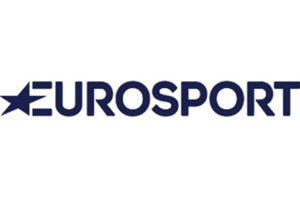 Our unique method of assessing an athlete’s brand appeal produces the most reliable valuations in the sports industry. Our exhaustive analysis of players, teams and fans ensures brands can enter into sporting sponsorships with confidence. Our clients derive rich insights from the world’s most extensive and accurate directory of athletes’ social media accounts. 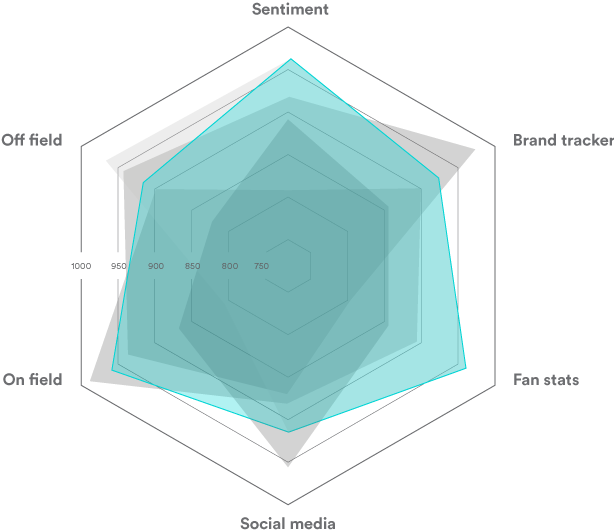 The in-depth understanding of sports fans offered by our index is helping brands boost engagement and gain new followers. 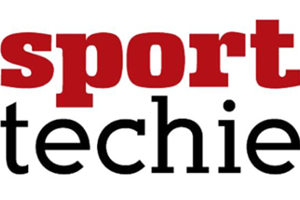 Brandtix’ pioneering approach offers sports industry professionals and consumers game-changing intelligence. The Brandtix Sports Index is updated in real-time and available on web, tablet and smart phone. Deployable in widget form or as a custom-designed solution, Brandtix provides rich, compelling content. 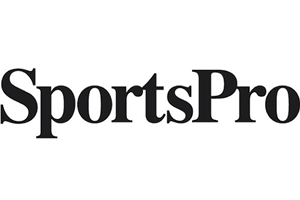 Only Brandtix supplies a comprehensive breakdown of every athlete’s sporting and social media standing. Get in touch or follow us on social media to find out more about the Brandtix platform and the Brandtix Sports Index. Follow our blog to keep up with the latest Brandtix-related developments. This site is controlled and operated by BRANDTIX LIMITED at 1020 Eskdale Road Winnersh, Wokingham, Berkshire, RG41 5TS, United Kingdom. All material on this site, including, but not limited to text, images, illustrations, audio clips, and video clips, is protected by copyrights, trademarks, and other intellectual property rights which are owned and controlled by BRANDTIX LIMITED or by other parties that have licensed their material to BRANDTIX LIMITED . Material on www.BRANDTIX.com or any web site owned, operated, licensed or controlled by BRANDTIX LIMITED is solely provided for your personal, non-commercial use. Such material may not be copied, reproduced, republished, uploaded, posted, transmitted, or distributed in any way, including by e-mail or other electronic means. Without the prior written consent of the owner, modification of the materials, use of the materials on any other web site or networked computer environment, or use of the materials for any purpose other than personal, non-commercial use is a violation of the copyrights, trademarks, and other proprietary rights, and is prohibited. This site may contain links to other web sites (“Linked Sites”). The Linked Sites are for your convenience only, and you access them at your own risk. BRANDTIX LIMITED is not responsible for the content of the Linked Sites, whether or not BRANDTIX LIMITED is affiliated with sponsors of the sites. BRANDTIX LIMITED does not in any way endorse the Linked Sites. Any e-mails, notes, message/billboard, ideas, suggestions, concepts or other material submitted will become the property of BRANDTIX LIMITED throughout the world. BRANDTIX LIMITED shall be entitled, consistent with our policies regarding privacy, to use the material or any of its elements for any type of use without limitation, including in any media whether now known or hereafter devised. When you or any other person authorised by you submits material to BRANDTIX LIMITED ‘s web site, you agree that BRANDTIX LIMITED has the right to publish or otherwise use the material or any of its elements for any type of use, including promotional and advertising purposes, subject to BRANDTIX LIMITED ‘s policies regarding privacy. By using BRANDTIX LIMITED ‘s web site, you agree that you will not submit or otherwise publish any content which: (a) libels, defames, invades the privacy of third parties, or is obscene, pornographic, abusive, or threatening; (b) infringes any intellectual property or other right of any entity or person, including, but not limited to infringing anyone’s copyrights or trademarks; (c) violates any law; (d) advocates illegal activity; or (e) advertises or otherwise solicits funds or is a solicitation for goods or services. 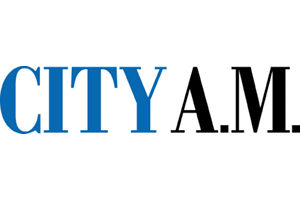 You agree to indemnify BRANDTIX LIMITED and its officers, directors, employees, agents, distributors and affiliates from and against any and all third party claims, demands, liabilities, costs, or expenses, including reasonable legal fees, resulting from your breach of any of the foregoing agreements, representations, and warranties. The materials on BRANDTIX LIMITED ‘s web site are provided “as is” and without warranties in relation to the provision of the web site service. Neither BRANDTIX IMITED , nor its affiliated or related entities, nor any person involved in the creation, production, and distribution of BRANDTIX LIMITED ‘s web site warrant that the functions contained in the materials will be uninterrupted or error-free, that defects will be corrected, or that BRANDTIX LIMITED or the server that makes them available are free of viruses or other harmful components. The material that you read on BRANDTIX LIMITED ‘s web site is provided solely for entertainment and promotional purposes. BRANDTIX LIMITED does not warrant or make any representations regarding the use or the results of the use of the materials in BRANDTIX LIMITED ‘s web site in terms of their correctness, accuracy, reliability, or otherwise. You expressly agree that except for death and personal injury arising as a consequence of BRANDTIX LIMITED ‘s negligence, neither BRANDTIX LIMITED , nor its affiliated or related entities, nor any of their respective employees, or agents, nor any person or entity involved in the creation, production, and distribution of BRANDTIX LIMITED ‘s web site are responsible or liable to any person or entity whatsoever for any loss or damage whatsoever resulting from the use of this site or any other BRANDTIX LIMITED web site. By way of example, and without limiting the generality of the foregoing, BRANDTIX LIMITED and related persons and entities shall not be responsible or liable for any claim or damage arising from failure of performance, error, omission, interruption, deletion, defect, delay in operation, computer virus, theft, destruction, unauthorised access to or the reliance upon or use of data, information, opinions or other materials appearing on this site. You expressly acknowledge and agree that BRANDTIX LIMITED is not liable or responsible for any defamatory, offensive or illegal conduct of other subscribers or third parties. Unless otherwise specified, the materials in the BRANDTIX LIMITED web site are presented solely for the purpose of entertainment and promoting programs and other products available in the Territories that BRANDTIX LIMITED operate, its territories, possessions and protectorates. This site is controlled and operated by BRANDTIX LIMITED from its offices in London. BRANDTIX Ltd makes no representation that material in BRANDTIX LIMITED ‘s web site is appropriate or available for use in other locations. Those who choose to access this site from other locations do so on their own initiative and are responsible for compliance with local laws, if and to the extent local laws are applicable. At some of our sites, you can order products, enter contests, vote in polls or otherwise express an opinion, or subscribe to one of our services such as our online newsletters, or participate in one of our online forums or communities. The types of information that may be collected at these pages include: your name, e-mail address, postal address, and telephone/mobile number, your gender and date of birth. We request these details in order to provide the service or product to you (i.e. dispatch news and Perform communications via email, post, fax or phone), to respond to any queries you may have, to ensure we request and receive the correct consent from you, and to understand customer trends and patterns. 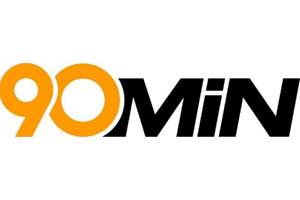 We may also use the information you provide to send you details via email, post, fax, SMS or phone of our products and services and the products and services of other companies we think are suitable and may be of interest to you and by submitting your details, you are consenting to such use. However, you always have the opportunity to remove your consent to such use by sending an email to info@brandtix.com with your request. We may on occasion combine information we receive online with other records to enhance our ability to notify you of our products and services that we think will be of interest to you. If you do not want to receive these notifications please send an e-mail to info@brandtix.com letting us know. We may ask you for other information, including, but not limited to, your interests, opinions and the way you use the Brandtix Limited service to assist us in our initiatives outlined above and to improve our understanding of customer trends and patterns. When you visit this site we send “cookies” to your computer primarily to enhance your on-line experience. “Cookies” are files which can identify you as a unique customer and store your personal preferences as well as technical information. On their own, cookies do not contain or reveal any personal information. However, if you choose to furnish the site with personal information, this information may be linked to the data stored in the cookies. We may share personal information with third parties to administer and process your requests (e.g., when you order a product or service we may share your details with third party financial institutions to process payment for your order). We may also share your details with third parties (such as auditors or legal advisors) to obtain professional advice. We may disclose information we hold in response to legal proceedings, for example, in response to a court order or a subpoena. We may also disclose such information in response to a law enforcement agency’s request. Some of our sites contain links to other sites where information practices may be different to ours. For example, if you “click” on a Clients site, the “click” may take you off this web site. Visitors should consult the other sites’ privacy notices as we are not responsible for and have no control over information that is submitted to, or collected by, these third parties. We sometimes may offer content (e.g., competitions, sweepstakes, or promotions) that is sponsored by or co branded with identified third parties. By virtue of these relationships, the third parties may obtain personally identifiable information that you voluntarily submit to participate in the site activity. We are not responsible for and have no control over these third parties’ use of this information. However, we will notify you at the time of requesting personally identifiable information if these third parties will obtain such information. You can contact us at any time at info@brandtix.com see the personal information we have collected through this site which relates to you. To protect your privacy and security we will take reasonable steps to verify your identity before granting access. Brandtix Global Limited (together with its affiliates, “Brandtix,” “we” or “us”) respects the privacy of the users (“User” or “you”) of its website located at www.brandtix.com (the “Website”), apps, and platforms (collectively, the “Services”). We are committed to protecting the information we collect and receive. Membership Information. When you use the Services or register for a membership, Brandtix will collect Personal Information about you, such as your name, email address, demographic information, date of birth, gender, and membership number. Information You Generate. Brandtix collects the content of the files and communications that you input, upload, receive, create, and control in using the Services (collectively, “Content”). Examples of Content include text, documents, audio, video, photos, images, software, and other media and files. For Customized and Efficient Provision of Services. Brandtix keeps track of the websites and pages you visit within our platform and what features and algorithms you use and how frequently. We use this information to maintain and improve the content, design, usability and quality of the Services; to improve your user experience; to generate and provide statistics regarding use of the platform and the Services to deliver customized content and advertising to Users whose behavior indicated that they are interested in a particular subject area, and to develop new product and service offerings. These activities are based on our legitimate interest in improving the functionalities of the Services. With Your Consent. Where you have provided consent, we share your Information, including Personal Information, as described at the time of consent, such as when you authorize a third party application or website to access your membership or when you participate in promotional activities conducted by Brandtix partners or third parties. The Services are intended for a general audience and are not directed to children under the age of 16. We do not knowingly collect Information from anyone under the age of 16. If we learn that we have inadvertently collected Personal Information from a child under the age of 16, we will delete that information as quickly as possible. If you believe that we might have any information from a child under age 16, please contact us at privacy@brandtix.com. We offer you choices regarding the collection, use and sharing of your Personal Information and we’ll respect the choices you make. Please note that if you decide not to provide us with the Personal Information that we request, you may not be able to access all the features of the Services. You may exercise any of the rights described in this section below by sending an email to privacy@brandtix.com. Please note that we may ask you to verify your identity before taking further action on your request. 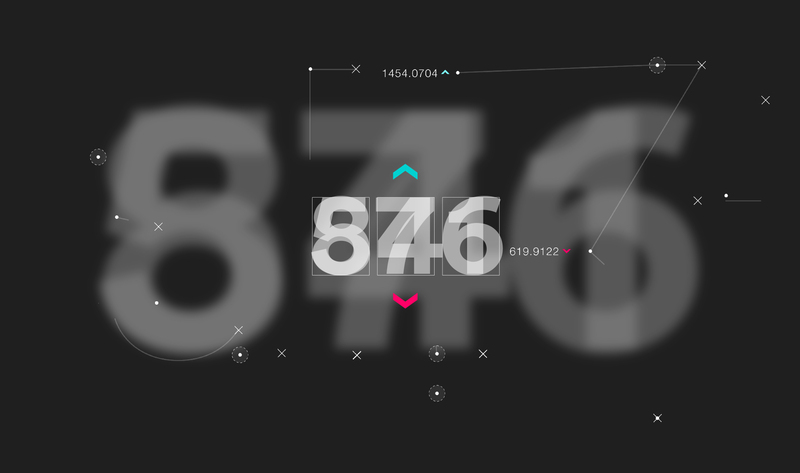 Accessing, Modifying and Deleting Your Information. You can access, update, modify or delete the Personal Information associated with your membership through your account settings or by sending us an email at privacy@brandtix.com. If you want us to delete your Personal Information and your membership, please contact us with your request. We’ll take steps to delete your Personal Information as soon as we can, but some information may remain in archived/backup copies for our records or as otherwise required by law. You further have the right to ask us to correct inaccurate or incomplete Information concerning you (and which you cannot update yourself within your account). Withdrawing Consent and Restriction of Processing. Where you have provided your consent to the processing of your Personal Information, you may withdraw your consent at any time by changing your membership settings or by sending us a communication specifying which consent you are withdrawing. Please note that the withdrawal of your consent does not affect the lawfulness of any processing activities based on such consent before its withdrawal. Additionally, in some jurisdictions, applicable law may give you the right to limit the ways in which we use your Personal Information, in particular where (i) you contest the accuracy of your Personal Information; (ii) the processing is unlawful and you oppose the erasure of your Personal Information; (iii) we no longer need your Personal Information for the purposes of the processing, but you require the Information for the establishment, exercise or defense of legal claims; or (iv) you have objected to the processing pursuant to your right to object to processing (below) and pending the verification whether the legitimate grounds of Brandtix override your own. Brandtix’s sites and applications are primary located and managed on servers within the EEA. In order to provide our products and services to you your Personal Information may be transferred to, and maintained on, computers located outside of your state, province, country or other governmental jurisdiction where the privacy laws may not be as protective as those in your jurisdiction. We are committed to protecting the privacy and confidentiality of Personally Identifiable Information when it is transferred. If you reside or are located within the EEA and such transfers occur, we take appropriate steps to provide the same level of protection for the processing carried out in any such countries as you would have within the EEA to the extent feasible under applicable law. These Terms of Service (the “Terms”) constitute a legal agreement between you (the “user” or “you”) and Brandtix Global Limited (“Brandtix,” “we,” “us,” or “our”) and govern your use of our website located at brandtix.com (the “Website”), apps and platforms (collectively, the “Services”). Specific products and services offered by Brandtix may be governed by separate agreements, which become part of your agreement with us if you use those products or services. Brandtix reserves the right, in its sole discretion, to modify, replace, revise and update these Terms from time to time. Brandtix shall make reasonable efforts to post a prominent notice on the Website in case of a material change of the Terms and shall direct you to the revised Terms for you to review. Your continued use of or access to the Services following the posting of any changes to these Terms constitutes acceptance of such changes. Brandtix reserves the right to modify or discontinue, temporarily or permanently, the Services with or without notice to you. You agree that Brandtix shall not be liable to you or to any third party for any modification, suspension, or discontinuance of the Services. To use certain Services, you must register for a membership within the particular app or platform (“Membership”), specify a password, and submit certain information about yourself (your “Profile”). To register for a Membership, you must be at least 16 years old, and you must provide truthful information about yourself. If your information changes at any time, please update your Profile to reflect those changes. Your name and photo may be displayed on your Profile, which may be visible to other users of the Services. You are solely responsible for maintaining the confidentiality of your username and password, and you are entirely responsible for any and all activities under your Membership. You agree to notify Brandtix immediately of any unauthorized use or any other breach of security involving your username and password or Membership. Brandtix will not be liable for any loss incurred as a result of unauthorized use of a username, password or Membership. The Services or portion thereof may be used as a platform or blog where third party content may be displayed (“Third Party Content”). Brandtix does not review, edit or control Third Party Content and is not responsible for Third Party Content. We may not be held liable, directly or indirectly, for any loss or damage caused to you in connection with any Third Party Content posted to the Services. You may not, whether by yourself or through anyone on your behalf: (i) copy, modify, adapt, make available (whether publicly or not), translate, reverse engineer, decompile, or disassemble any part of the Services in any way; (ii) interfere with or disrupt the operation of the Services; (iii) impersonate any person or entity or provide false personal information or business information, for the purpose of using the Services or obtaining products and services from Brandtix; (iv) falsely state or otherwise misrepresent your affiliation with any person or entity, or express or imply that Brandtix endorses you, your website or the Third Party Content you post; (v) transmit or otherwise make available in connection with the Services or your use thereof any virus, “worm”, “Trojan horse”, “time bomb”, “web bug”, spyware, or any other computer code, file, or program that is malicious by nature or defective, and may, or is intended to damage or hijack the operation of any hardware, software, or telecommunications equipment, or any other actually or potentially harmful, disruptive, or invasive code or component; (vi) use the Services for any illegal or unauthorized purpose, or for any commercial or other non-personal purposes, including any usage which generates any revenues, whether directly or indirectly. You represent, warrant and undertake to Brandtix that all information you supply to Brandtix, and all of Your Content you post on the Services (a) is not in violation of any law, international convention, rule or regulation; (b) is solely owned or licensed to you and does not infringe upon the intellectual property of any third party; (c) is not be slanderous, abusive, defamatory, obscene, offensive, or otherwise in violation of these Terms; (d) is not be false, misleading, fraudulent or deceptive; and (e) does not contain private or personally identifying information of a third party. As between you and Brandtix, all proprietary algorithms and methods, inventions, patents and patent applications, copyrightable material, graphics, text, sounds, music, designs, specifications, data, technical data, videos, interactive features, software (source and/or object code), files, interface, GUI and trade secrets pertaining thereto (collectively, “Intellectual Property”), used by or available for use on the Services or in connection with the services offered by Brandtix are solely owned or licensed to Brandtix and subject to copyright and other applicable intellectual property rights under United States laws, foreign laws and international conventions. Subject to the foregoing, certain content displayed on the Services, including without limitation, graphics, photos, texts, guides, manuals, data and information, presentations, sounds, music, videos, interactive features, software, scripts, interface, trademarks, service marks and logos (collectively, “Content”) may be owned by third parties other than Brandtix. THE SERVICES, INCLUDING WITHOUT LIMITATION ANY CONTENT, DATA AND INFORMATION OF BRANDTIX RELATED THERETO, IS PROVIDED ON AN “AS IS” AND “AS AVAILABLE” BASIS, WITHOUT ANY WARRANTIES OF ANY KIND, EXPRESS OR IMPLIED, INCLUDING BUT NOT LIMITED TO THE AVAILABILITY, RELIABILITY, OR QUALITY OF THE SERVICES, AND BRANDTIX IS NOT AND SHALL NOT BE RESPONSIBLE FOR ANY ERROR, FAULT OR MISTAKE OF ANY AND ALL INFORMATION RECEIVED THROUGH THE SERVICES. MOREOVER, BRANDTIX MAKES NO WARRANTIES OF TITLE OR NON-INFRINGEMENT NOR IMPLIED WARRANTIES OF USE, MERCHANTABILITY OR FITNESS FOR A PARTICULAR PURPOSE. BRANDTIX DOES NOT WARRANT THAT THE USE OF THE SERVICES WILL BE UNINTERRUPTED OR ERROR-FREE. BRANDTIX MAY DISCONTINUE DISPLAYING ANY DATA, INFORMATION AND CONTENT WITHOUT NOTICE. BRANDTIX HEREBY DISCLAIMS ALL LIABLITY IN CONNECTION WITH THIRD PARTY CONTENT AND ANY ACTION TAKEN BY YOU IN RELIANCE THEREON SHALL BE YOUR SOLE RESPONSIBILITY. THE USE OF THE SERVICES IS SOLELY AT YOUR OWN RISK. IN NO EVENT SHALL BRANDTIX BE LIABLE FOR ANY DAMAGES WHATSOEVER INCLUDING, BUT NOT LIMITED TO, INDIRECT, SPECIAL, INCIDENTAL OR CONSEQUENTIAL DAMAGES OF ANY KIND, INCLUDING DEATH OR INJURY, WHETHER IN AN ACTION OF CONTRACT, NEGLIGENCE OR OTHER TORTIOUS ACTION RESULTING FROM OR ARISING OUT OF THE USE OR INABILITY TO USE THE SERVICES, REGARDLESS OF WHETHER BRANDTIX OR AN AUTHORIZED REPRESENTATIVE OF BRANDTIX HAS BEEN ADVISED OF THE POSSIBILITY OF SUCH DAMAGES. THESE EXCLUSIONS INCLUDE, WITHOUT LIMITATION, DAMAGES FOR LOST PROFITS, LOST DATA, COMPUTER FAILURE, OR THE VIOLATION OF YOUR RIGHTS BY ANY THIRD PARTY, REGARDLESS OF THE LEGAL OR EQUITABLE THEORY UPON WHICH THE CLAIM IS BASED. YOU AGREE THAT THE AGGREGATE LIABILITY OF BRANDTIX TO YOU FOR ANY AND ALL CLAIMS ARISING FROM OR RELATED TO THE USE OF THE SERVICES IS LIMITED TO ONE HUNDRED DOLLARS ($100). Brandtix respects the intellectual property rights of others. If you believe that your work has been copied or your intellectual property rights violated by Brandtix, please provide the following information in writing to Brandtix’s Intellectual Property Agent: (i) the contact details of the person authorized to act on behalf of the owner of the work; (ii) a description of the work that you claim has been violated; (iii) a description of the material that you claim to be violating or to be the subject of violating activity and that you request to remove or to which access should be disabled, and information sufficient to permit Brandtix to locate the material; (iv) a statement that you have a good faith belief that use of the material in the manner complained of is not authorized by law or agreement; and (v) a statement that the information in the notification is accurate and, under penalty of perjury, that you are the owner or are authorized to act on behalf of the owner of the work that is allegedly being violated. Brandtix’s Intellectual Property Agent can be reached as follows: privacy@brandtix.com. If you have any questions or comments about the Terms, please feel free to send us an email at: privacy@brandtix.com. How Can I Control My Cookies? You can manage and disable Statistics Cookies, Preferences Cookies or Marketing Cookies through our Cookie Management Tool or by sending an email to privacy@brandtix.com. You can prevent Cookies from being placed on your device through your browser settings by following the instructions set out at allaboutcookies.org. Most browsers also provide the ability to let you review and erase Cookies. You can also opt-out of third party targeting or advertising Cookies through the Digital Advertising Alliance, the Network Advertising Initiative or the European Interactive Digital Advertising Alliance. Want more information and to be updated on the world of Brandtix? Join our newsletter and we'll drop you a executive roundup from Brandtix into your inbox, a few times a month. Magic.